Volkswagen and GAZ have agreed to jointly produce Volkswagen and Skoda cars at the GAZ plant in Nizhny Novgorod. Volkswagen Group Rus and GAZ group, which is a part of Oleg Deripaska’s Basel Element, plan to produce more than 100,000 cars a year according to GAZ.The two car makers will organize full-cycle production of Volkswagen and Skoda models at GAZ's light production facilities. The cooperation agreement will include providing additional equipment for the GAZ production facility and the training of GAZ personnel by Volkswagen, as well as the creation of 2,500 new positions at the GAZ plant. Marcus Osegowitsch, Volkswagen Group Rus chief, says the agreement will provide a boost for production and logistics. "The Volkswagen Group is very interested in further developingthe Russian market'spotential.Cooperation with GAZgives us a unique opportunity to expand our production capacity in a short period. We are very glad to have found a strong Russian partner with Western standards of production and management. The production facility in Nizhny Novgorod will provide us with flexibility in production and logistics. We will concentrate on expanding production of the VolkswagenPolo sedanand launch of new models at our plant in Kaluga." GAZ Group President, Bo Andersson, noted the advantages of technology transfer for GAZ. "We are glad that our talks with Volkswagen Group led to this framework agreement.This decisionwas possible thanks to the modernizationGAZ has carried out in recentyears in production efficiency and quality standards. 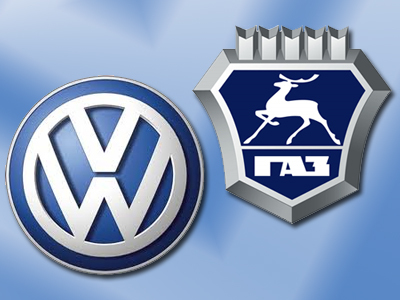 Cooperation with Volkswagen Group will boost GAZ's capacity utilization and bring in cutting-edge technologies."